Ever wonder what goes on in your house when you’re not home? David Huddle’s main character in “The Day Ghost” does—just like the rest of us—and what’s haunting his second floor turns out to be the last thing he expected. “The Day Ghost” is an unusual ghost story, and that’s what sets it apart. It certainly isn’t your typical chain-rattling chill-fest set in a creepy castle; instead, it’s set in every day modern environments—and what’s haunting David isn’t that much different from what haunts many of us every day. That’s what makes it disturbing: the very same thing could happen to you at any time. For that, I have to place it on my “Genius” list. 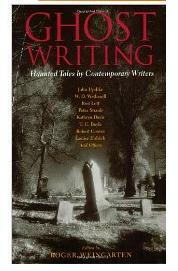 Posted on July 21, 2011, in GhoStory Guru and tagged " Contemporary Ghost Stories, "The Day Ghost, David Huddle, Ghost Stories, Haunted. Bookmark the permalink. Leave a comment.